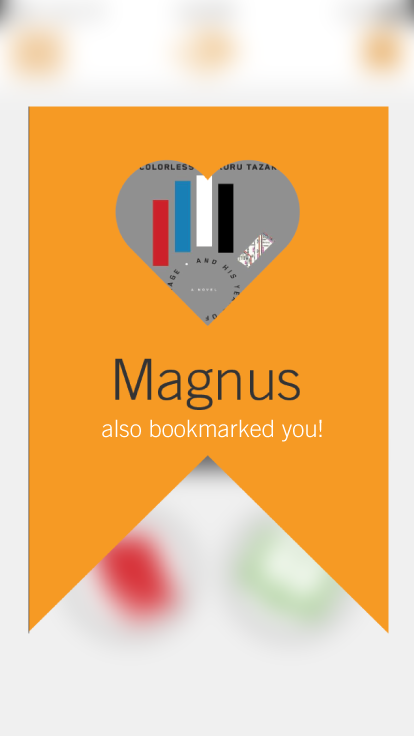 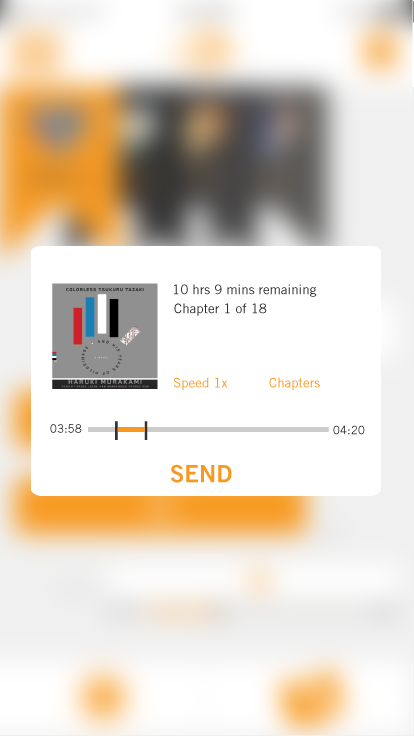 With the Audible API as out main resource, we proposed a mobile application which allows users to connect with potential dates/friends via similar interests in books and literature. 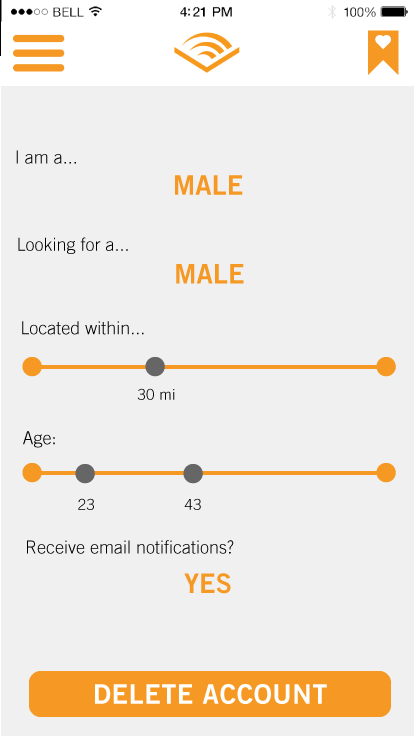 In a Tinder-esqe fashion, users swipe left and right on other users with access to nothing but the other users taste in literature. 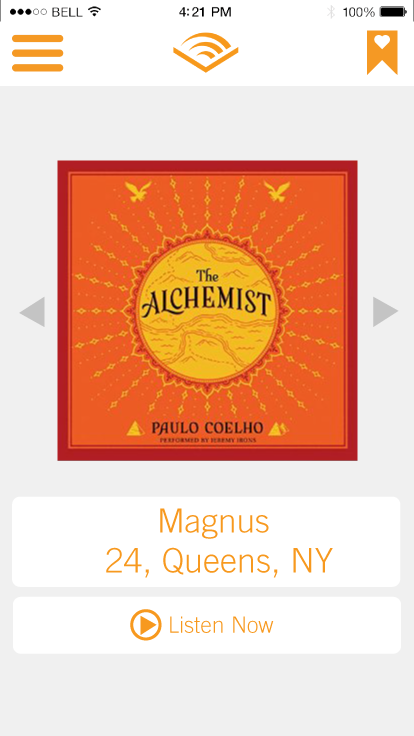 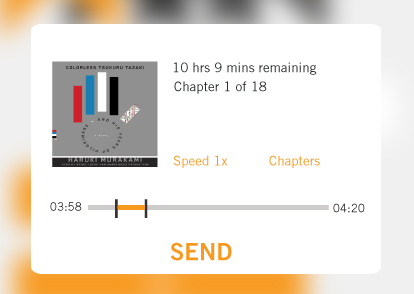 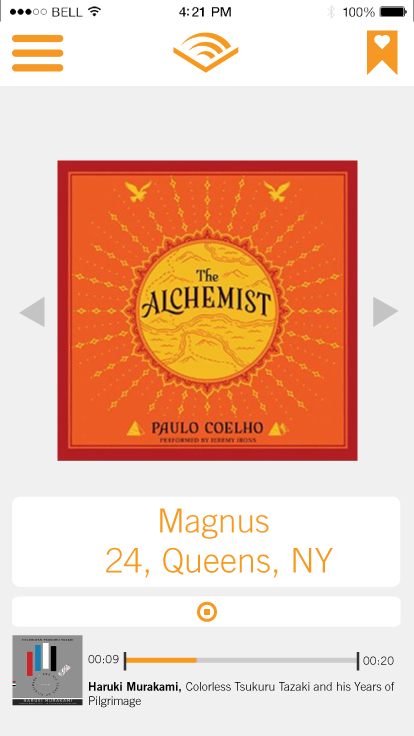 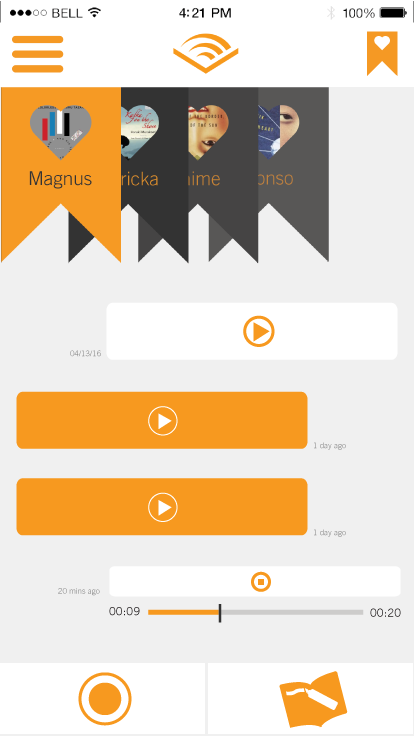 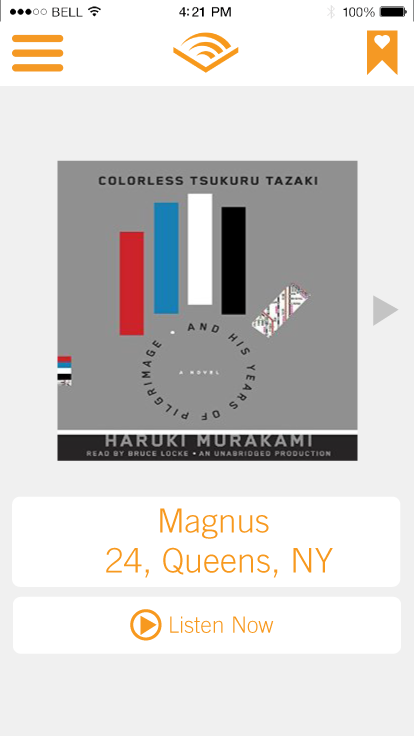 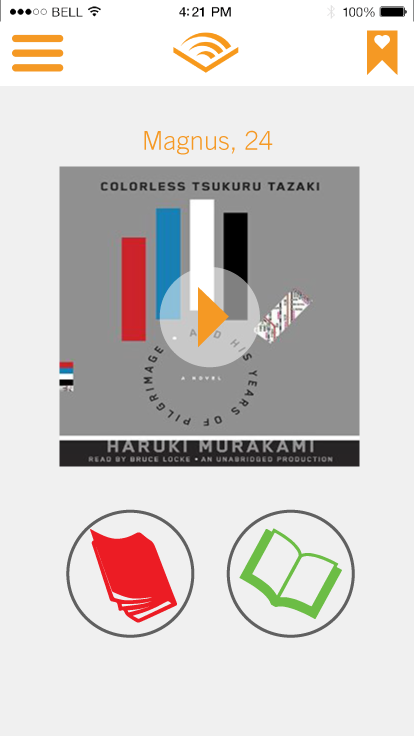 Employing Audible’s API, users are able to store audio snippets of books as their “featured message” for profile visitors.